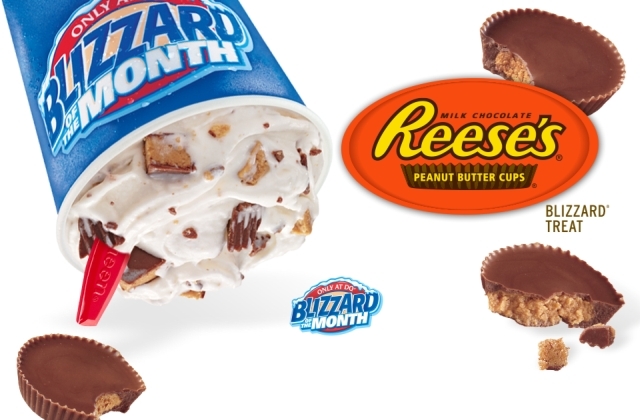 The regular-menu Reese's Peanut Butter Cup Blizzard gets the nod as November's Blizzard of the Month at Dairy Queen. It keeps it simple with pieces of Reese's Peanut Butter Cup blended into vanilla soft serve. If you're looking for something a little more seasonal you can still get the Apple Pie Blizzard as well as the Pumpkin Pie Blizzard this month. Dairy Queen is also offering a Chicken Strip Basket deal where you can get four crispy chicken strips, fries, Texas toast, and a choice of dipping sauce for $4.99. The deal is good for a limited time at participating DQ locations.